France is hosting a security summit on the threat from Boko Haram Islamists, after the abduction of more than 200 schoolgirls in Nigeria last month. Nigerian President Goodluck Jonathan and other West African leaders will attend the talks in Paris. On Friday, Goodluck Jonathan was due to visit the north-eastern town of Chibok, where the girls were seized, but called it off for security reasons. He has ruled out negotiations over their possible release, reports say. This came three days after Boko Haram released a video showing more than 100 of the girls and offering an exchange for prisoners. French President Francois Hollande is expected to open the summit later on Saturday. The leaders of Nigeria’s neighbors – Benin, Cameroon, Niger and Chad – are scheduled to attend the talks, which will also include representatives from the UK, US and EU. A statement said delegates at the meeting will “discuss fresh strategies for dealing with the security threat posed by Boko Haram and other terrorist groups in West and Central Africa”. Francois Hollande on Friday discussed the issue in a phone call with President Barack Obama. 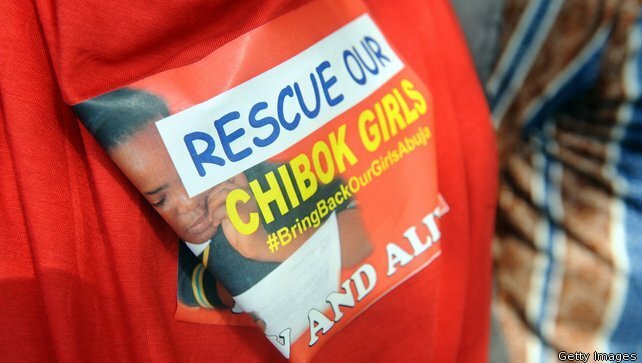 The safe return of the 223 girls was now one of America’s main priorities, with US specialist teams and drones being involved in the rescue operation, the White House said. France is also providing Nigeria with expert assistance to help release the girls. US officials have criticized the speed of Nigeria’s response to the threat from Boko Haram.